Anitha Thampi (born 1968) is a Malayalam poet and translator living in Thiruvananthapuram, Kerala, India. She has published three collections of poetry: Muttamatikkumpol (While Sweeping the Front Yard, 2004), Azhakillaathavayellam (All That are Bereft of Beauty, 2010), and Alappuzha Vellam (Alappuzha Water, 2016). In 2007, a collection of her translations of Australian poet Les Murray was published in a bilingual edition. She has also translated I Saw Ramallah, autobiographical monologue of Palestinian poet Mourid Barghouti into Malayalam. Her other translated works include the Spanish classic Platero and I and the Italian classic Pinocchio. 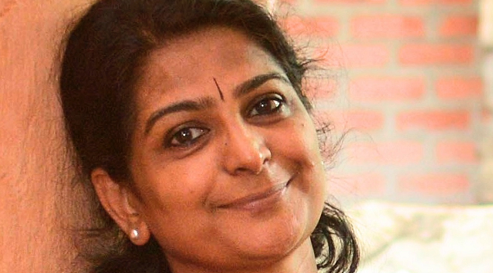 Anitha Thampi participates in the project Poetry Connections India-Wales organized by Literature Across Frontiers and partners to mark the 70th anniversary of independent India.